« Did Elvis play the Armadillo (when it was called the Sportcenter)? “Last night we all got to singing and dancing. We didn’t go to bed until 2 in the morning,” she told Lomax, which he recalled in “Our Singing Country,” his 1941 book that contained four songs collected from the Gants. Lomax, a former University of Texas administrator, and his son Alan made more than 40 primitive recordings of the Gant family, whose vast repertoire ranged from jailhouse ballads and play ditties to cowboy songs and minstrel tunes. If Maggie Gant and her 17-year-old daughter, Foy, hadn’t sung the tragic song about a jilted lover-turned-horse thief into the Lomaxes’ recorder, it almost certainly would’ve been lost forever. 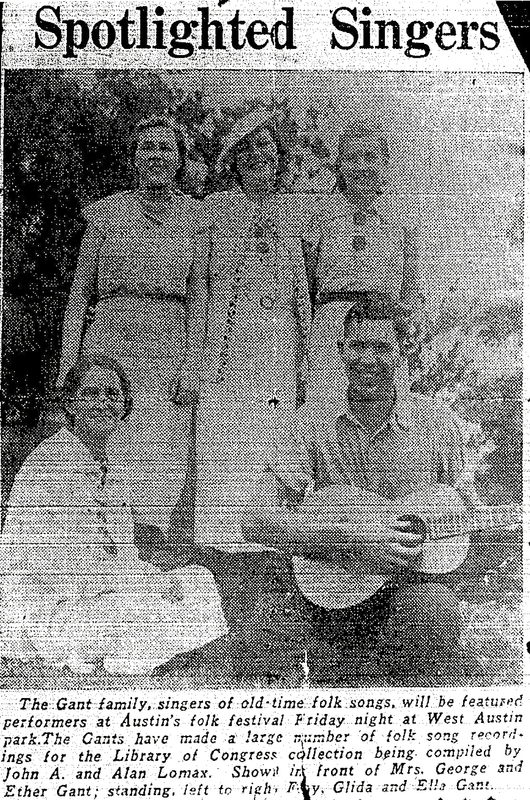 The Lomax family, based in Austin, lived to keep such songs of the working-class people alive, lugging their 315-pound acetate disk-cutting machine to prison work camps, Cajun settlements, fishing villages, cattle ranches, the hills of Kentucky, the Rio Grande Valley and even Haiti to find words and music that told the story of a culture. With the Gant family of singers, led by mother Maggie (father George wasn’t very musical), the Lomaxes found a treasure in their own backyard. The Lomaxes left Austin in 1936 to manage and tour with their great discovery Leadbelly. Even though their contribution was incomplete, the Gants left a body of work that puts them as “among the most important informants on traditional music that no one’s ever heard of,” said Minnesota musician/folklorist Lyle Lofgren. The mystery behind the music has made the Gants’ story all the more intriguing. 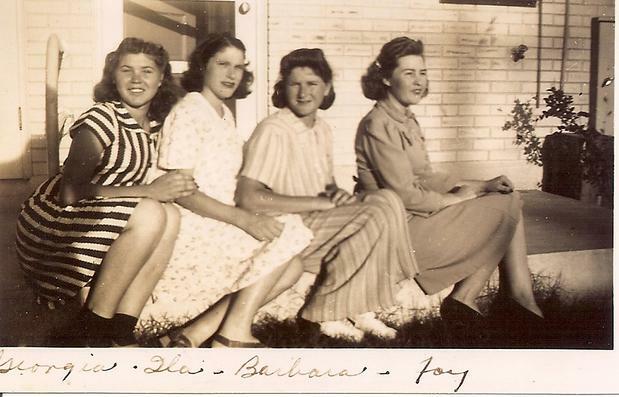 Even the Library of Congress, which keeps a thin file of info on the Gants, did not know until a few months ago that one member of the family, 86-year-old Ella Gant, was still alive and living in Utah. But the biggest question has always been this: Where did this family of Mormons, originally from East Texas, learn some extremely rare songs of so many different styles? A clue came with the family’s recently discovered genealogy, which daughter Foy Gant Kent registered with the Mormon church before she died in Houston in 2008 at age 90. Maggie Gant’s maternal grandmother, Lavinia “Lucy” Brown, was born in Wales, “the Land of Song,” which has a rich ballad tradition. Maggie’s mother, Sarah Reeves, was born and raised in the Tennessee mountains but moved to Texas before Maggie was born in the East Texas town of Lone Oak in 1893. Lavinia Brown Reeves, the Welsh wellspring from which the songs most likely came, died in Grayson County, about 60 miles north of Dallas, in 1899. The Gant family’s path to Austin can be charted according to where the children were born, starting with oldest son Nephi in the Northeast Texas town of Mineola in 1913. The next four — Ether, Foy, Adoniron and Ella — were born just a few miles south of Mineola, when the family lived in Kelsey, the largest Mormon colony in the state. Georgia came next in Altus, Okla., in 1925, and the youngest, Trovesta Mae, was born in 1929 in the Texas Panhandle town of Shamrock, from which the family moved to Austin after a severe drought dried up farm work. It’s unknown when and where Glida Koch, Maggie’s daughter from an earlier marriage, was born. 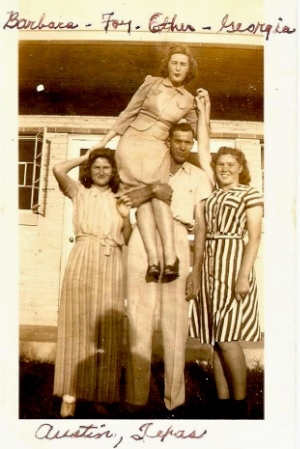 George, Maggie and the kids arrived in Austin in 1933 looking for work and, according to Lomax, went on relief at times. The two oldest kids, Glida and Nephi, started families and lived together in a house at 1115 E. Third St. The rest of the family lived in the riverside shack where the recordings were made, about a half-mile west of Deep Eddy Pool. The Gants recorded only for the Lomaxes, in four sessions spread out over two years. Then World War II hit, acetate previously used for field recordings was restricted to the war effort, and the Gant family split time between Houston, where there were jobs in the Ship Channel, and San Angelo, where the parents moved with their three youngest. Maggie and the kids never recorded together again after 1936. But Austin’s first family of song didn’t stop singing. Maggie’s grandson Edward Gant recalls Friday night folk song sessions in Houston led by Foy and her brothers Ether and Ado, as Adoniron was called. “There was music at every family gathering,” said Ether’s son Edward, who owns a Houston architectural firm. Ella Gant McBride’s granddaughter Julie Johnson said her grandma wrote songs about each of her granddaughters. “The last time I saw her she broke into the ‘Julie’ song as her greeting to me,” said Johnson, who lives in Florida. McBride, who broke her hip two months ago when she went out dancing, according to granddaughter Marianne Hewlett of El Paso, was not up to being interviewed for this story. Although he made his mark as a folklorist with his 1910 anthology “Cowboy Songs and Other Frontier Ballads,” John Lomax had moved on to other pursuits and was working for a bank in Dallas during the 1929 stock market crash, which left him unemployed. Even worse, his wife Bess died in 1931, leaving him with two school-age children to raise. Oldest son John Jr. encouraged his father, then 65, to get back into “ballad hunting,” a passion born from the cowboy songs Lomax heard growing up on a ranch in Bosque County, about 40 miles north of Waco. Things began looking up. In 1933, John and an 18-year-old Alan Lomax began collecting songs for the Library of Congress, which named John Lomax the head curator of its Archive of American Folk Songs. The next year, John Lomax married Ruby Terrill, UT’s dean of women, and the Lomax family moved into the house Terrill owned at 400 E. 34th St. The Library of Congress provided the Lomaxes with a bulky recording machine, which fit into the family’s Ford after the back seats were removed. Superior to the old wax cylinder recorders, the new machine cut grooves onto a disk as the songs were sung, giving the singers all the reward they wanted when Lomax played back the record they’d just made. According to John Lomax biographer Nolan Porterfield, the Lomaxes became aware of the Gants through budding folklorist John Henry Faulk, then a 21-year-old UT classmate of Alan Lomax’s. Soon the Gants were starting to become well-known to many in the Austin area and proudly accepted an invitation to play at the State’s Centennial Celebration in Dallas in 1936. But earlier that year, tragedy hit the singing family hard. Oldest boy Nephi, 22, was murdered on Feb. 1 after a fight at Ollie’s Place at the corner of East Fourth and Waller streets. At Ollie’s, Nephi was challenged to fight by a man who’d just gotten out of prison 24 hours earlier and was “already crazy drunk and looking for trouble,” according to Alan Lomax. Nephi got the best of 21-year-old Howard Armstrong, who went out to his car, got a gun and shot Nephi in the head through the glass door. Sporting a black eye, Armstrong turned himself in to police the next day and claimed self-defense. After her children’s father, George, died in 1943, Maggie Gant remarried twice and eventually moved to Arizona, where she ran a trailer court. She died in 1977 in Houston and, according to Mormon records, is buried in the same cemetery in San Angelo as George Gant. In fact, only in recent months did most of the Gants’ descendants discover the extent of the family’s influence. This entry was posted on August 12, 2011 at 4:34 pm	and is filed under Music, Texas Music History. Tagged: Foy Gant, Gant Family, John A. Lomax, Nephi, When First Unto This Country. You can follow any responses to this entry through the RSS 2.0 feed. You can leave a response, or trackback from your own site.